Ah the site of young whippersnappers frolicking around the Christmas tree, what a joyous moment to behold. The little scamps tear open their gifts, chomp on chocolates, and then gasp as they spy some delicious candy canes dangling from your tree. The little tykes dash to the treats as fast as their little legs will carry them, before greedily stuffing into their mouths the sugary delights you have so graciously provided them with. Then, their eyes narrow, their cheeks redden, they realise something underhand has occurred. 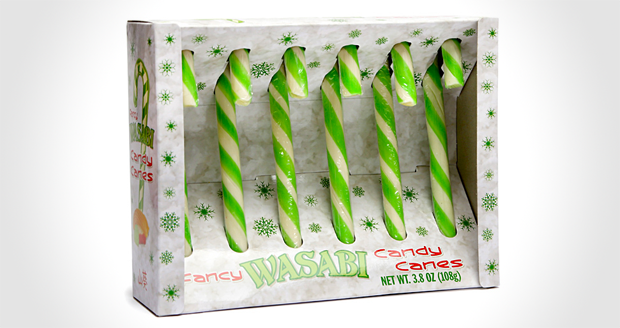 The piercing heat of these Wasabi Candy Canes burns the tongues of those gluttonous little shits and tears start to stream down their fat faces. Ha, Merry Christmas you filthy little bastards. 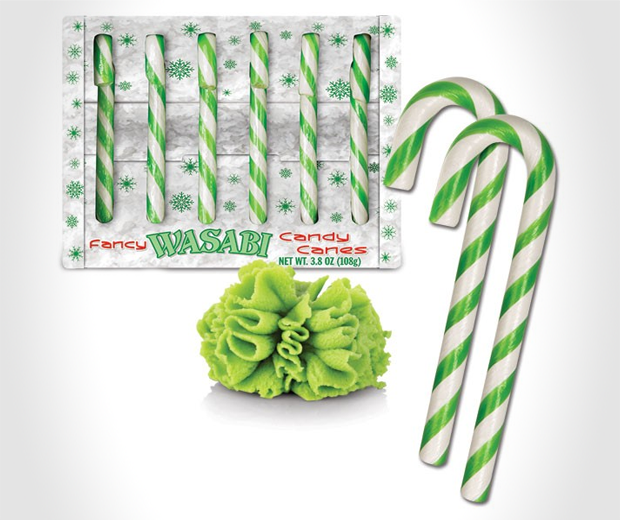 Or, you know, you could just give these to people who like Wasabi. Either or.